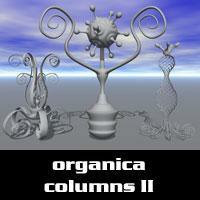 3 organically modeled columns in Bryce format. Ooo. I wish this was in .obj format.